Hanover - Around 20 film crews and a packed audience of media representatives were keen to see the new coach on the Bundesliga block as Tayfun Korkut sweeped into Hanover on Friday. The Stuttgart-born coach, who represented Turkey during his playing days, attracted the attention not only of the German media, but also a lot of interest from the Turkish press. He may not be the most experienced campaigner on the Bundesliga scene, but what he may lack in that department, he certainly makes up for in terms of will and determination to lift the Reds from their current 13th place. "I want to take this chance with all my strength," said the 39-year-old. 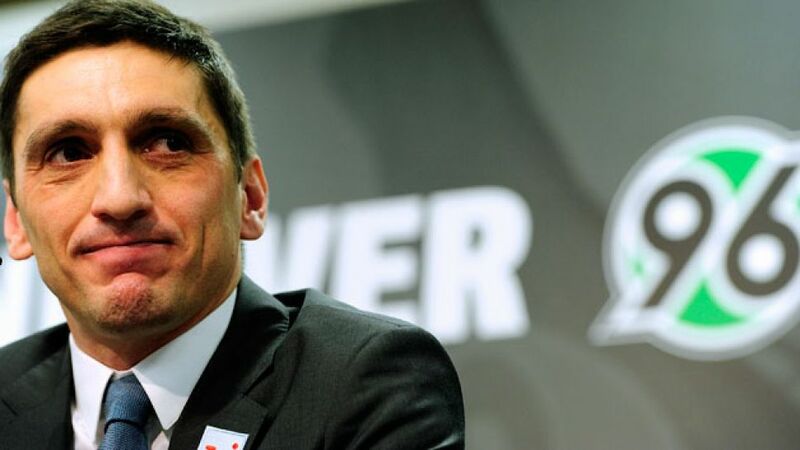 Korkut had clear ideas about what he expected from his new side: "I want to see a courageous, ambitious and active team, I want solidarity, and if we can get all that right, then we can be successful. I don't know where we'll end up, I've just got to lead the way. We want a trouble-free season and we want to excite the fans." Korkut, who put pen on paper on a two-and-a-half year contract on 31 December 2013, was praised by Hannover's sporting director Dirk Dufner as "a young, ambitious, hard-working and eloquent coach [who's] got it all." Germany head coach Joachim Löw was also complimentary, describing the newcomer as "very competent" in Bild newspaper. The 42-time former international, a member of both the 1996 and 2000 Turkey UEFA Euro squads, will be keen to get his charges into shape for a successful second half of the season when the Reds head off to their Turkey training camp on Sunday. With the Lower Saxony side just four points above the relegation zone and still without a point on the road, there is lots of work to do for the Bundesliga's newest face.